Todd from Maryland – I’m a Little League® coach, and am considering joining the Board of Directors for my league. If I get elected to the Board, do I have to give up coaching? TPC – Approved local Little League® Coaches and Managers are permitted to be members of a local league’s Board of Directors, as long as the number of coaches and managers on the Board is less than 50 percent of the total number of persons serving on the Board. League Presidents are permitted to be managers and coaches during the regular season. More recently, as a result of the 2016 Roundtable vote, League Presidents are now permitted to serve as a tournament manager or coach with the approval of the District Administrator. For those local leagues that support the management and operation of their local leagues by forming Board-appointed committees, know that a coach or manager who is not as Board member, can volunteer to serve on a committee without jeopardizing their possibilities to coach or manage a regular-season or tournament team. Tommie from Nebraska – Are there any restrictions on managers or coaches holding specific positions on a local league’s Board of Directors? TPC – The Player Agent is exempt from coaching or managing a Little League team in the division in which he/she oversee the players. For example, a person who is serving as Player Agent for a league’s baseball divisions, could coach softball; and vice versa. The reasons being that the Player Agent is responsible for serving as the representative for all of the players in a local league and overseeing the league’s player selection (draft) and placement (on teams). In the event that circumstances within the local league are such that the person in the role of Player Agent is needed to serve as a coach in the division(s) in which he/she oversee the players, then a waiver request could be submitted for consideration to the Charter Committee in Williamsport. Otherwise, under typical conditions, it would be a conflict of interest and compromise objectivity if a Player Agent were also allowed to volunteer as an official manager or coach. The Player Agent can serve as an unofficial coach to assist with practices, or as a scorekeeper, pitch counter, or in other capacities for any team within the local league. 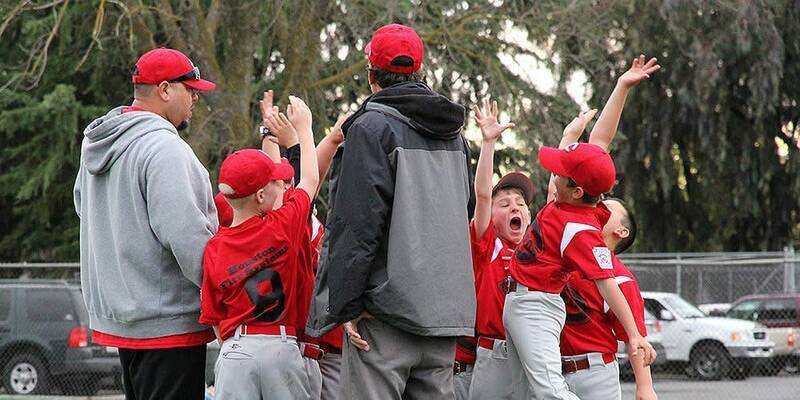 DeAnne from Colorado – Are their other ways for a mom to volunteer in Little League besides being a team mom? TPC – Being a Little League volunteer depends totally on you, and the amount of time you are willing and able to commit. Being a team mom is a great way to support a team, but it’s most certainly not the only way to contribute to the league. Women are strongly encouraged to consider volunteering as team managers and coaches, to serve on the local Board of Directors, and give time to the District staff. Whether it’s the offseason or during the season, there is always something to be done, and the efforts of volunteers – male or female, young or older – are the lifeblood of a local league. Consider how you can support your league by speaking with local league officials and asking where your efforts can be best placed. For example, there are plenty women serving as league presidents, player agents, treasurers, purchasing managers, safety officers, coaching coordinators and umpires. Bruce from New Hampshire – The holidays are coming and next spring will be my son’s first season in the Majors, so I want to buy him a new bat. I keep hearing that this year’s Little League bats won’t be allowed when he 12. Is this true? TPC – USA Baseball, the national governing body for the sport of baseball in the United States, is adopting a new method for measuring bat performance in the testing of youth bats. The new USA Baseball bat standard (USABat), was developed by a USA Baseball committee of scientific experts. Little League Baseball® will adhere to the new bat standard, effective on January 1, 2018. You can purchase a new bat for next 2017, because Little League-approved bats can be used through December 31, 2017, and our current bat regulations remain in effect until then. But, after 2017 the bat you purchase cannot be used in 2018. Paige from Oregon – I’ve been a Little League Board member for a few years, and each year we spend so much time preparing for sign-ups. Does Williamsport have any suggestions on how we can pre-register kids, or do sign-ups over the Internet? TPC – You’re asking about league technology software, which can help manage online player registration. Through Little League’s partnership with Blue Sombrero, your league can create an account that will provide the means to register players online. Holding in-person registrations are still the best, most effective way of meeting the families and players, and recruiting volunteers, but more and more leagues are taking their registration efforts online, because it is a convenient way for parents and guardians to sign-up their children and also pay any associated fees the league may have.